Linen There are 5 products. Merchant GETELD Tent 3 x 6m with special winshields like on the pictures. 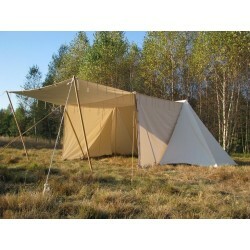 Merchant GETELD Tent 3 x 6m Made of tent linen impregnated and waterproof - c. 560 gsm.